Located in the Indian state of Bihar, Bodhgaya is a magnificent tourist destination as well as an important pilgrim points for the Buddhists. It earns much of its claimto fame from the fact that Buddha attained enlightenment here. For the Buddhists, it is an important religious site and every year is visited by a large number of devotees. The main attraction of this town is Mahabodhi temple which is positioned near the spot where Lord Buddha attained spiritual enlightenment. 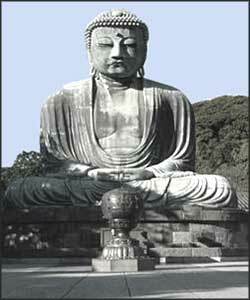 Bodhgaya is not only an important Buddhist pilgrim center, but it is also an important center for the study of Buddhism. Hence, Bodhgaya is one of the most inescapable tourist destinations and occupies an important place for the Buddhists. The major tourist attractions of Bodhgaya are the various Buddhist monasteries and Mahabodhi Tree. The Mahabodhi complex is the place where Buddha meditated and attained Nirvana under the famous Bodhi Tree. The solitude and peace seekers are surely going to find Bodhgaya a magnificent tourist destination that is away from the din and rush of the town and you will get the desired level of peace and joy during your Bodhgaya tour. Bodhgaya is also declared as a World Heritage Site by UNESCO and the number of tourists visiting this religious place is increasing day by day. Hence, there are also several accommodations in Bodhgaya that are known for their utmost hospitality and warmth in services. Bodhgaya can be reached by air, rail and road transport quite easily as there is an international airport in Bodhgaya that provides services to the various domestic and international flights. The road network in Bodhgaya is also equally good and the major cities in and around Bodhgaya are connected by the road transport system. The facility of railways is also available as the huge numbers of pilgrims and tourists drop in to this town for the tour.